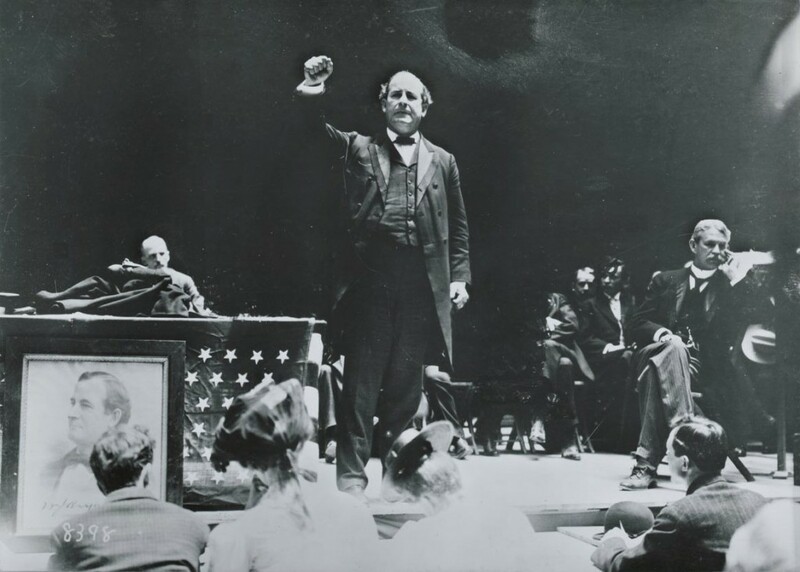 The Panic of 1896 is perhaps best known for the fiery speech of William Jennings Bryan (1860-1925) who was the Silver Democrat’s Presidential candidate that year. 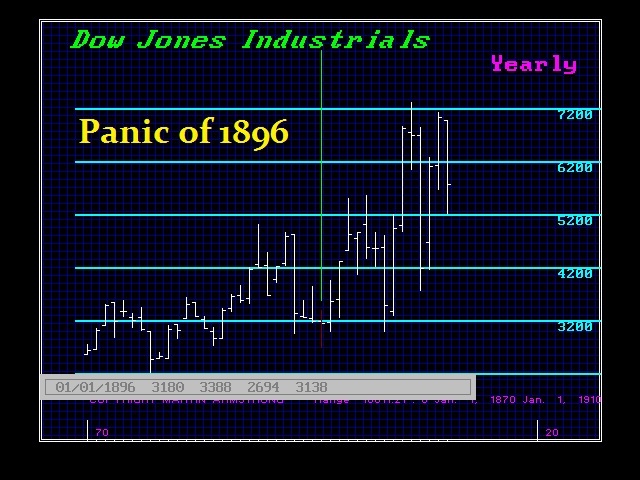 The major thrust down took place during the Panic of 1893. However, by 1896, the economic conditions had not improved very much. There was still a dramatic and acute economic depression in the United States that was dragging on like a slow-death. It was the end of the Long Depression that began back in 1873. This birth of international capital flows that had first appeared with the South Sea and Mississippi Bubbles in 1720 that created the first true speculative bubble post-Dark Age after the famous Dutch Tulip Bubble of 1637. 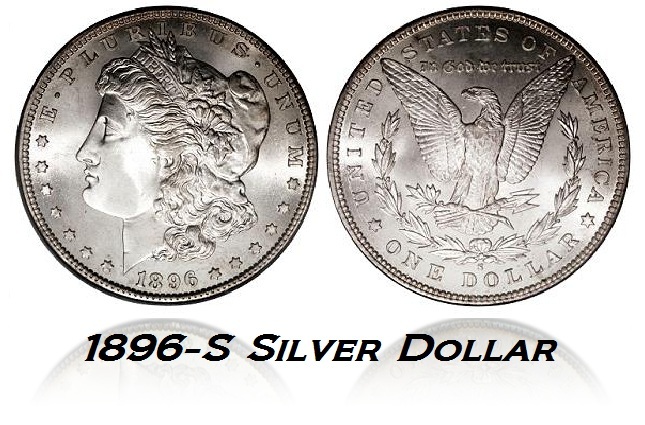 The downside of a precious metals monetary standard became clear with the events of the late 19th century – when it is the same product used globally, it can be arbitraged. International Capital Flow was now manifesting in full-blown moves of capital rushing around the globe. This net capital movement was undermining the entire foundation of economic theory that was built upon isolated domestic fundamentals. Now, fundamental changes in a distant land could spark net capital outflows and selling of domestic assets even when there was no such change whatsoever in the domestic economy. Capital moved and the idea that politicians could actively manage the economy at will be regulation and crafting Draconian laws was nothing but an illusion – a fools dream. The impact of net capital movement was clearly not understood by economists who were still trying to expand their own power with theories of absolute control. This was the period of rising Marxism on a global scale. Marx is responsible for almost all white-collar crimes. The politicians responded first with the Interstate Commerce Act of 1887 (ch. 104, 24 Stat. 379) regulating commerce.to prevent what Marx said would happen that was not realistic. 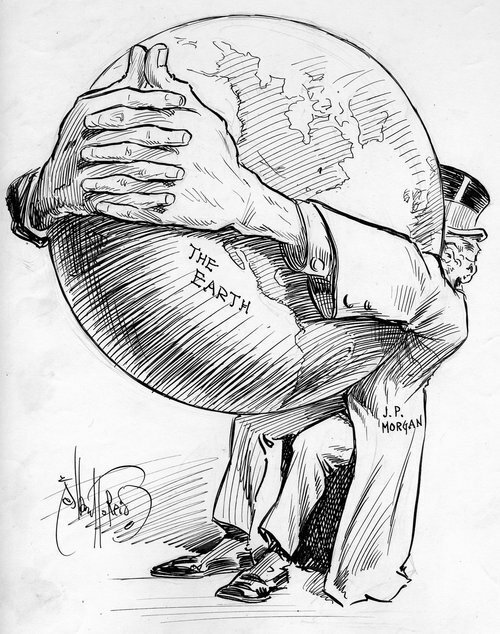 Next came the Sherman Anti-Trust Act (Sherman Act, July 2, 1890, ch. 647, 26 Stat. 209, 15 U.S.C. §§ 1–7) that also sought to prevent the consolidation of business reducing the number of employers. The act was enacted in tandem with the McKinley Tariff of 1890. William McKinley (1843-1901), a Ohio Republican and chairman of the House Ways and Means Committee worked with John Sherman (1823-1900), the senior Republican Senator from Ohio, to create a package that could both pass the Senate and receive the President’s approval. This was immediately followed by the core legislation that set in motion the Panic of 1893 that culminated in this Panic of 1896 – the Sherman Silver Purchase Act enacted on July 14, 1890. Sherman Silver Purchase Act, 1890, passed by the U.S. Congress to supplant the Bland-Allison Act of 1878. It not only required the U.S. government to purchase nearly twice as much silver as before 4,500,000 ounces (130,000 kilograms) per month, but also added substantially to the amount of money already in circulation. 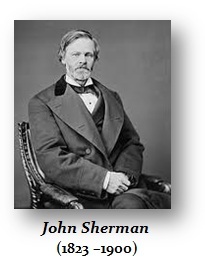 The Sherman Silver Purchase Act, named after John Sherman, was enacted in support of the advocates of the Free Silver Democrats. This Act created massive unsound finance that undermined the U.S. Treasury’s gold reserves. Only after the Panic of 1893, President Grover Cleveland called a special session of Congress and secured the repeal of the Act. His speech is recorded above. This entire series of legislation that set in motion the various financial Panics of the 1890s were inspired at least by Karl Marx (1818-1883). Despite the Sherman Silver Purchase Act being repealed, none of the other legislation was repealed yet it was all the same inspiration. The Sherman Anti-Trust Act was inspired by Marx and the idea was based upon the observation that all of these start-up railroads were being purchased and consolidated. The politicians saw this as eliminating jobs and this took the view of labor rather than economic efficiency. This entire rise of Marxism culminated in the passage of the Income Tax Act in 1909 rejecting the wisdom of the Founding Fathers and adopting the philosophy of Karl Marx. Politicians found the evil to point at to win elections using Marxism to target the “rich”. Capital flows around the globe at all times and has done so since ancient times. Cicero commented that any event in Asia (Turkey) be it financial or natural, sent waves of panic running through the Roman Forum. Therefore, we are not dealing with purely a modern evolution of net capital movement, Even Aristotle complained about the people who made money from money in the Agora that inspired Karl Marx. 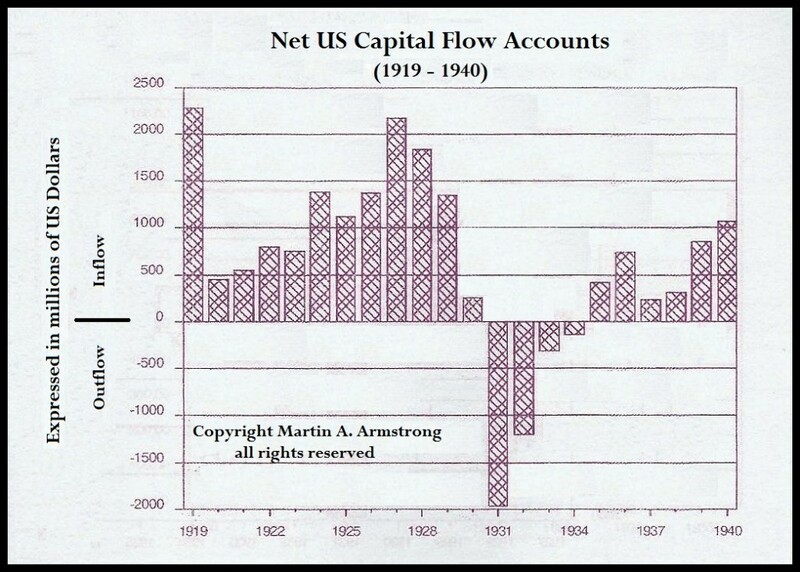 Pictured here, is the net capital flows concerning the United States that show after the Panic of 1896, much of what can be credited for turning the nation around economically was not political genius, but simply war in Europe that sent capital fleeing to the United States. We also saw major net capital outflows during 1987 Crash. Nevertheless, we remain ignorant of this development economic fact that demonstrates how the global economy functions. We instead try to force it to do as we like without understanding its core nature. Both the field of politics and economics remain as ignorant today void of any ability to ever learn from plain observation of what is actually taking place because we are caught up in the desire to pursue our own self-interest. No one has dared to explore and observe to uncover HOW things work as Adam Smith himself had done. We prefer to try to redesign everything like trying to make every day sunny. The financial crisis that became the Panic of 1896 was precipitated by a drop in gold reserves to the point that the US government was virtually bankrupt. International capital flows were providing the check and balance against domestic mismanagement. While William Jennings Bryan (1860-1925) in his 1896 Presidential speech (listen above) realized that there was a risk of international capital flow disruption, nevertheless, he felt that if the US adopted whatever it desired, other nations would follow the US example. That simply did not prove to be the case. 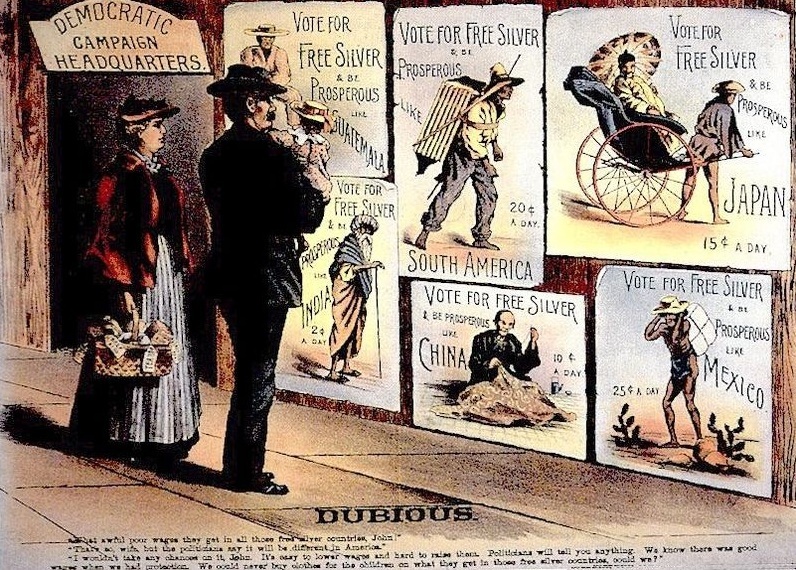 Overvaluing silver presented also the argument of making foreign labor more expensive. Consequent;y, as this trend of international capital outflows of gold from the USA was accelerated by the Sherman Silver Purchase Act of 1890, politicians remained ignorant of the implications of setting the silver-gold ratio at 16:1 compared to Europe’s 15:1. Arbitrage emerged where people could take gold from the USA purchasing it with silver that was overvalued thanks to the Silver Democrats. These simple-minded politicians had no clue how capital moves globally. Instead of forcing the Europeans to adopt the US inflated silver value, the opposite unfolded where the USA attracted overvalued silver and the Europeans took the gold home. The European gold reserves began to expand sharply with the US gold reserves collapsing at an alarming speed. This serious drain on the US gold reserves caused by the overvaluation of silver, led to the famous bailout of J.P. Morgan (1837-1913) to save the United States. President Grover Cleveland was a Democrat while J.P. Morgan was a Republican. Nevertheless, Morgan voted for Cleveland because he stood against the Silver Democrats and insisted upon sound money and the gold standard. Cleveland’s speech during the Panic of 1893 about its cause lying in unsound finance established the common-ground between the two men. Congress sat on its hands and just refused to give the authority to replenish the gold reserves only cascading the economy steering it into serious straits. The first march upon Washington emerged at this time known as Coxley’s Army. This was a group of unemployed men who marched during the depression year of 1894. Jacob S. Coxley (1854-1951) was a businessman in Ohio whose idea was that government should provide employment through creating Public Works. His ideas were eventually incorporated in Franklin D. Roosevelt’s New Deal and became the WPA in 1935. Coxley set out for Washington on March 25th, 1894, with about 100 men and arrived there on May 1st with about 500 who had joined. Coxley’s First Amendment rights were of course violated for they arrested him for walking on the grass pretending it had nothing to do with his march. 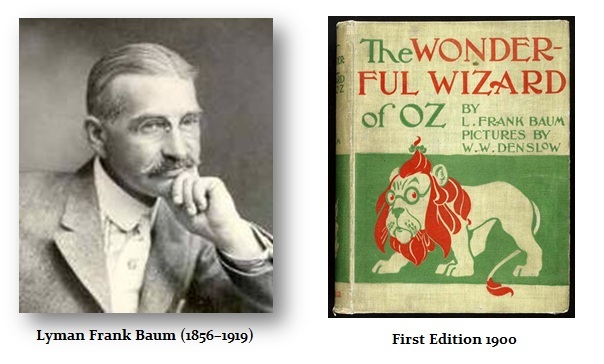 Nevertheless, it was this event that became the Wizard of Oz for Lyman Frank Baum (1856-1919) was impressed by this movement. Off to see the Wizard was Washington. The Tin man was industry, the Scarecrow agriculture and the Cowardly Lion was William Jennings Bryan. 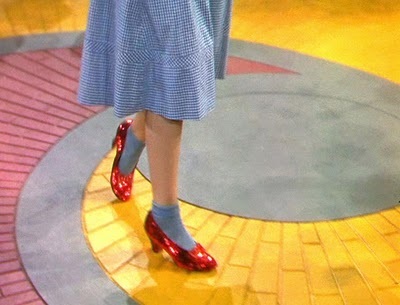 The Yellow Brick Road was the gold standard. It was hoped to persuade Congress to authorize a vast program of public works, and restore the repealed Sherman Silver Purchase Act to increase the money supply. This movement was all about financing a substantial increase of the money in circulation, to provide jobs for the unemployed. The conspiracy theories of the day made it impossible for Cleveland to even turn to J.P. Morgan being a Wall Street Tycoon leaving him politically paralyzed. Morgan had been one of the targets of the Sherman Anti-Trust Act once it was passed. J.P. Morgan in 1892 arranged for the merger of Edison General Electric and Thomson-Houston Electric Company creating General Electric. Morgan’s assistance in creating big companies made his deeply hated by many. Nonetheless, by January 24th, 1895, the US gold reserves had fallen to just $68 million. Gold coin was being hoarded by the citizens everywhere. Cleveland could not be seen to be turning to Wall Street for help, yet simultaneously, he had little choice. Cleveland turned to the Rothschilds in London to try to avoid Wall Street. The Rothschilds turned in London then turned to J. S. Morgan and Company there, who then agreed to participate only if J.P. Morgan handled the American end. They could not deal at such levels without local support. The Rothschilds representative at that time in the USA was August Belmont, Jr. (1853–1924). Belmont and Morgan met at the US Treasury office in New York. While nothing was then settled, over $9 million in gold on ships headed to London was taken off and returned to the city vaults that night. The meeting also fueled the conspiracy theories of the Wall Street-Washington league. absolutely certain by February. Europeans would not buy debt coming from America. The confidence in the United States vanished. The politicians clearly knew nothing about; what they had done. A bunch of absolute idiots destined to destroy the entire US economy because of their political favors to the silver miners and farmers. The cabinet informed Morgan and Belmont that they now rejected their proposal for a bond issue to raise gold. They were still refusing to admit that they had done anything wrong and the country would pay for that. Morgan and Belmont jumped on trains destined for Washington. They were met by Daniel Lamont, Secretary of War, who informed them that the President decided against a private syndicate and would not see them. JP then said in reply: “I have come down to see the president, and I am going to stay here until I see him.” (Allen, Great Pierpont Morgan, p90). The Marxism that dominated the atmosphere had so poisoned the well it was astonishing how it took the courage of JP Morgan to save the nation that day in the face of obstinate politicians. told the politicians that he knew of a $10 million draft that would be presented and by 3 o’clock, the country would be completely bankrupt. 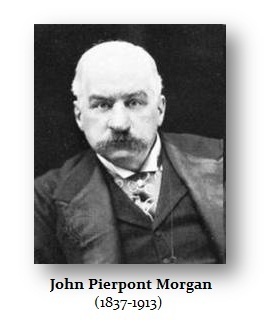 Finally, Cleveland for the first time asked JP, “What suggestions have you to make, Mr. Morgan?” (Satterlee, J. Pierpont; Morgan, p289); (Chernow, The House of Morgan, p75) . The proposal was bold indeed. Nonetheless, Secretary of the Treasury John G. Carlisle relied on the 1862 statute that had been enacted during the Civil War for Lincoln granting emergency powers to buy gold during the war. This law, he argued, gave the President such authority. Cleveland had no choice but to now see the light. He still sought to get Congress to enact a public bond offering to raise Gold. Nevertheless, he knew that if they failed for political reasons, he had no choice but to turn to JP Morgan. The Congress defeated the bill to allow the US Treasury to sell long-term bonds to the public clinging to their idea of forcing the world to comply with their wishes that were merely bribes from the miners. News broke about the Morgan-Rothschild operation. 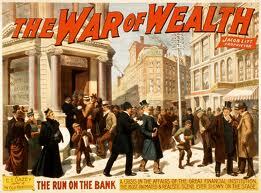 On February 20th,1895, the bond sale in London sold out in 2 hours. In New York, they were sold out in just 22 minutes. The conspiracy theorists used this rise in demand for the bonds to argue that Morgan-Rothschild had cheated the government. They had sold the bonds at 104 and they rose to 119 on the open market. Now the uproar expanded to include anti-Semitism because Rothschild was involved. 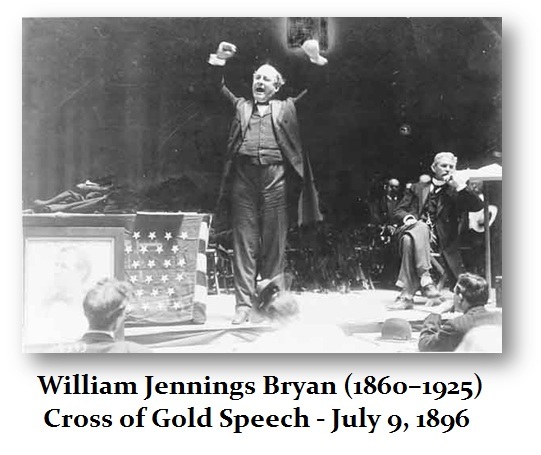 This became the backdrop to the 1896 Presidential elections and the Democratic Convention where William Jennings Bryan (1860-1925) ran for President and delivered his infamous speech that Thou shalt not crucify mankind on a cross of gold. JP Morgan saved the nation that day. He had suffered the arrows of every possible sort when the politicians refused to yield and were destroying the country with their silver madness. Morgan’s view of politicians was certainly well founded. They were simple fools whose opinions were shaped by bribes – never a love of their country. They will never listen and only lash out at any person who dares to criticize them. Even when the end was staring them in their face, they still would not yield. The image that JP Morgan gained was of course the fuel of conspiracies for decades. 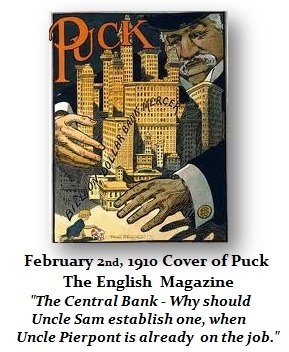 Even in England by 1910, they still hurled insults at the man who saved the nation when the USA was starting to look to create a central bank to perform the very tasks that J.P. Morgan had done in so many moments of despair. 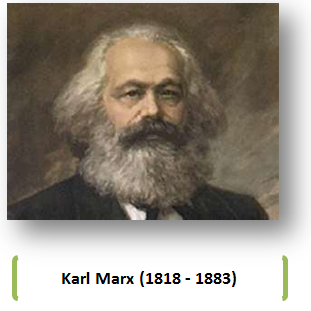 The conspiracy theorists fed on the ideas of Karl Marx and were to a large extend espousing the same ideas. This was also the era of American Marxism that had taken hold of much of the nation. The conspiracy theories against Morgan reflected this class struggle, yet it was ironic that Morgan was not really interested in money. JP lamented over his duty that he felt he owed to his country and more than anyone else, he aided the shift in economic power from London to New York. Above, is a poster from a play that appeared on Broadway – The War of wealth. This was then inspired by the Panic of 1893 and we begin to see the Marxist tone had gripped the nation. The unsound finance and the attack upon business with the whole Sherman Silver Purchase Act in 1890 set a tone of caution within the capital markets and sent the US economy into a tailspin. The efforts of JP Morgan restored confidence as demonstrated by the chart above. The major low and end of the Long Depression took place with the actions of Morgan in 1896. This no doubt contributed to the defeat of William Jennings Bryan in that election by William McKinley (1843-1901), who would be assassinated in 1901. McKinley had been a “straddle bug” on the currency question, favoring moderate positions on silver such as accomplishing a bimetalism through international agreement. The Age of Marxism had indeed arrived. There was a rising anarchist movement spreading and many assassinations were taking place in Europe. Spirit of revolution was perhaps a consequence in the USA following the Haymarket affair (also known as the Haymarket massacre). It began as a peaceful labor demonstration on Tuesday May 4, 1886 supporting the ideas of Marx in Haymarket Square located in Chicago. This peaceful rally in support of workers striking for an eight-hour day turned violent when an unknown person threw a dynamite bomb at police who reacted and gunfire erupted resulting in the deaths of seven police officers and at least four civilians with many people wounded. 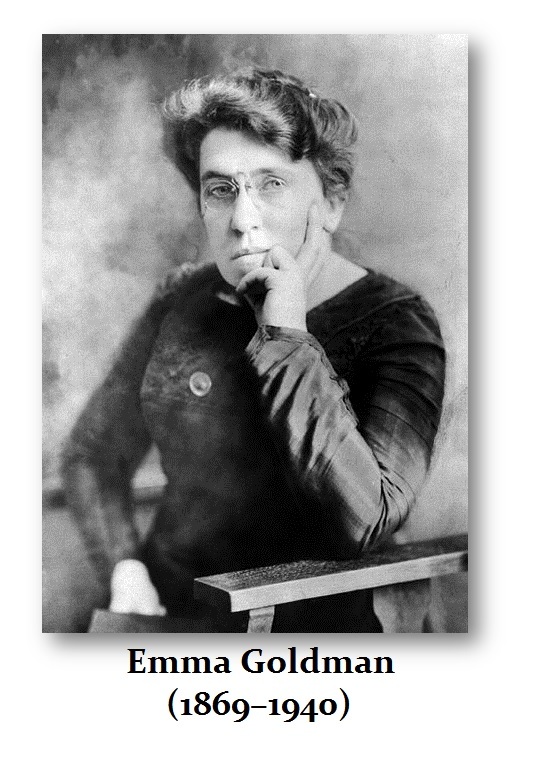 It was this event that then inspired the Marxism Anarchist movement that attracted people like Emma Goldman (1869–1940), a Russian immigrant, whose speeches were also fiery and emotional. Goldman’s speeches became popular and in turn inspired Leon Frank Czolgosz (1873-October 29, 1901), a Polish immigrant, who became convinced that he had to be a hero and assassinate McKinley. Therefore, the Panic of 1896 was the end of the Long Depression and marked the beginning of a new era where the USA started to move toward the role of becoming the new Financial Capital of the World. The assassination of McKinley was part of an anarchist uprising based upon Marxism. This would eventually culminate in the assassination that sparked World War I.